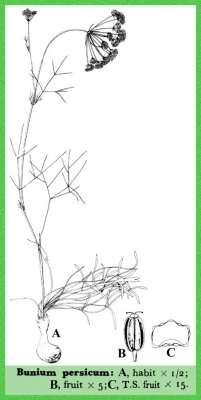 Bunium persicum is an erect, herbaceous perennial plant growing from underground tubers; it produces one or more stems that branch from the middle, growing from 40 - 60cm tall. A native of the temperate to subtropical zones, the plant can be grown as an annual in more tropical areas. 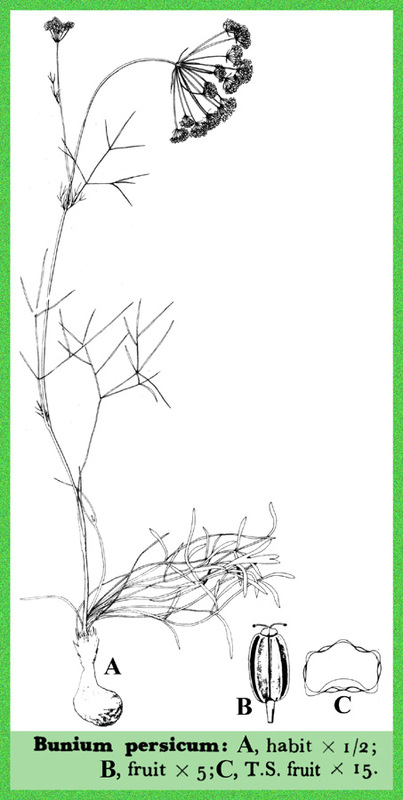 The plant is likely to prefer a well-drained light to medium soil in sun or light shade. ]. Tastes like sweet chestnuts. Seed - sow in containers. When large enough to handle, prick the seedlings out into individual pots and grow them on until large enough to plant out. Division in spring or autumn.